Despite the fact that mass shootings are predominantly an American phenomenon, gun advocates are quick to insist that there is nothing we can do to prevent them. Instead, they suggest these murders could only be reduced by having more armed civilians — aka “good guys with guns” — roaming the streets, a solution that inevitably involves fewer gun regulations and more gun ownership. Reducing gun violence through straightforward policies of the sort implemented in virtually every other industrialized nation is regarded as a chimera by the National Rifle Association. After all, criminals don’t follow laws, so what would be the point? It turns out, however, that the scientific evidence suggests precisely the opposite: criminals routinely respond to incentives, and policies such as background checks and permit-to-purchase requirements demonstrably save lives by reducing criminal access to firearms. The problem, these studies show, isn’t that criminals don’t follow laws, but rather that criminals aren’t dissuaded by weak laws. And gun laws in all but a few states are decidedly weak. Ever since the 1993 passage of the Brady Handgun Violence Prevention Act, which required all federally licensed gun retailers to enforce background checks on firearm purchases, criminals including felons, fugitives, some convicted domestic abusers and drug addicts have been unable to simply walk into a store with a federal firearms license (FFL) and buy a firearm. Rather, a criminal seeking to obtain a gun can do so in one of three ways. He can have a so-called “straw purchaser” illegally acquire a gun for him from a federally licensed dealer, and hope neither of them gets caught. He can steal a gun himself. Or he can find a seller who won’t subject the transaction to a background check. While it may seem that the mere availability of these options undermine most gun safety initiatives, the reality is far more complex. To understand how gun laws influence criminal behavior, it is important to understand how the unregulated gun market functions in the United States. This market is comprised of both private sales (such as those taking place at gun shows or online) and black market transactions (such as a gang member buying a stolen gun from a street source), but ultimately the line separating the two is often blurry. Indeed, illegal transactions occurring in the black market — often involving guns transferred from one criminal to another — are properly understood as a subset of a much larger gray market encompassing all sales that don’t require background checks. Estimates from 1994 indicated that around 40 percent of all firearm sales happen that way. Two decades later, with the explosion of online marketplaces facilitating private firearm transactions, there is no good data on the number of guns supplied through the gray market. While we don’t know the overall size of the unregulated gun market, we do know, anecdotally, that it provides guns to criminals who wouldn’t pass a background check. On Oct. 21, 2012, for example, Zina Daniel’s estranged husband burst into the Azana Day Salon in Brookfield, Wisconsin, wielding a handgun he purchased through an online source despite having a prohibitive restraining order. The gunman murdered her and two others before committing suicide. In March of 2010, a man with a history of mental illness opened fire in front of the Pentagon, wounding two police officers before he was killed by return fire. A California resident, he had attempted to purchase a firearm at a gun store in January but was denied due to the state’s strict background check laws. He then crossed the border to Nevada, where he was easily able to buy one from a private seller at a gun show, no background check required. These two stories — and many others like them — are merely a small fraction of the often lethal consequences of the gray market. A Bureau of Justice Statistics study from 2001 found that nearly 80 percent of criminal offenders reported that they had obtained their most recent firearm through private channels, such as through friends or street sources. This illegal portion of the unregulated market is fueled, in part, by the roughly quarter million gunsstolen in the U.S. each year, according to the Department of Justice. Contrary to LaPierre’s pessimism regarding the apparent futility of trying to stem the tide of illegal guns, Philip Cook of Duke University and several colleagues have found that it is the flow of firearms, not the volume, that is the key factor in gun crime. These market characteristics mean that regulations on transactions, even in the legal channels, can help increase costs in the black market and subsequently deter criminals from obtaining firearms. If gun regulations can effectively dampen the supply of new firearms and ammunition, thereby making transactions more challenging to complete, prices will rise and criminals will be more hesitant to obtain a firearm — and may even forgo it altogether. Another startling feature of the markets that supply criminals is how swiftly guns make their way from legal gun stores to crime scenes when they are not fettered by tougher laws. In one study conducted by Franklin Zimring, a UC Berkeley law professor, it was discovered that a large number of the guns seized in major metropolitan areas were sold by retail outlets relatively recently. Other studies have confirmed this point, finding that the many crime guns have a short “time-to-crime” (the time between when a gun is first bought and found at a crime scene), usually of a couple of months to a couple years. The exception to this rule are guns used by gang members in areas with strict gun regulations — again including Chicago, where time-to-crime numbers ran to 11.6 years as of 2013, the most recent data available. More than 60 percent of those guns were imported from outside Illinois, meaning that criminals looked to states with weaker gun laws to obtain their weaponry. In fact, time-to-crime is often used as a proxy in gun violence research to measure the effectiveness of gun laws in limiting the diversion of firearms to criminals. If guns used for illegal purposes in Chicago consistently have a longer time-to-crime than guns in other cities, then that can be taken as evidence that Chicago’s gun laws are obstructing criminal activity. A 2014 study by criminologist Glenn Pierce at Northeastern University found that California, with its strict legal and regulatory regime governing firearms, also produces crime guns with a much longer time-to-crime than other states. These numbers were confirmed by a recently issued ATF report, which found in 2014 that California, a state with strict gun laws, had an average time-to-crime of 13.52 years, versus a state with lax gun laws like Arizona, which had an average of 8.86 years. A recent survey conducted by Cook and several colleagues interviewed 99 prison inmates with gun related offenses in Chicago, and found that very few respondents bought their gun directly from a federally licensed gun dealer. Instead, most relied on a network of family and friends to obtain their weaponry. Pro-gun media and the NRA quickly pounced on the survey, claiming this was proof that criminals don’t follow laws and will be able to obtain firearms no matter what restrictions are implemented. Actually, the survey points in the opposite direction, indicating that regulations that produce higher prices for guns and ammunition in the black market can have a significant impact on criminal activity in the aggregate. The interviews by the Cook team reveal that gun regulations have forced Chicago’s criminals (particularly gang members) to search for out of state sources and create an elaborate network of personal contacts to transfer guns, out of fear of being caught by police. As one respondent stated: “Most people either go to the down-South states or go to Indiana” — where gun laws are looser than Chicago’s and Illinois’ — “to get guns, or people obtain gun licenses, go to the store and then resell.” Another respondent further expounded on the difficulties of obtaining firearms: “A lot of guys in the ‘hood’ don’t have access — a lot of networking stuff going on.” These findings paired with time-to-crime data demonstrate that Chicago’s gun laws are influencing the behavior of criminals and imposing greater transaction burdens on the illicit market. Gun violence continues to rock the city, but it’s fueled by the supply of guns from lightly regulated markets that undermine local barriers. Further research has revealed background checks in particular are effective at keeping guns out of the hands of criminals and saving lives. Before the Brady Act was passed in 1993, 32 states had no background check requirements of their own, making it easy for criminals to obtain firearms through licensed retailers. One obvious way we can be sure the law removed a previously attractive avenue for criminals to obtain guns is to note that criminals continued trying to secure firearms from federally licensed retailers after background checks came online. Following the passage of the Brady Act, Georgia saw 9.4 percent of its firearm applications by prohibited persons in 1996, and several other states recorded denial rates around 4 percent. Each of those rejected purchases represents a dangerous person who would have easily been able to easily buy a gun before the background check system went into effect. According to the most recent report from the Bureau of Justice Statistics (BJS), between 1994 and 2012 a total of 2,431,000 federal firearm applications, or 1.6 percent, have been denied as a consequence of the Brady Act. Breaking down that total, 1,105,000 of the applications were denied because the applicant had a felony indictment or conviction; 314,000 because of the applicant’s criminal history of domestic violence; and 145,000 due to the applicant’s status as a fugitive from justice. The strongest and most recent evidence on the efficacy of background checks thwarting criminals comes from two studies conducted by Dr. Daniel Webster at the Center for Gun Policy at Johns Hopkins University, which show the effectiveness of so called “permit to purchase” laws on reducing criminal access to firearms. The first study evaluated the repeal of a 2007 Missouri law that had required showing a permit, contingent on passing a background check, prior to obtaining a firearm. The repeal of this law was associated with a spike in the murder rate by 14 percent through 2012 — “an additional 49 to 68 murders per year.” Furthermore, the study found strong evidence that the permit requirement had also been keeping neighboring states safe from gun trafficking. After its repeal, crime guns found in neighboring states traced back to Missouri increased significantly. The second study examined a similar permit requirement passed in Connecticut in 1995. It looked at homicide rates in Connecticut ten years after the passage of the law, and compared that rate with what would be expected had Connecticut not passed the law at all. The study found a 40 percent reduction in the state’s firearm-related homicide rate. Just as importantly, Connecticut did not experience a concomitant increase in homicide by other means — in other words, criminals did not switch to using some other weapon to commit murder when they failed to get their hands on a firearm. Gun advocates often dismiss the potential of any gun law, arguing that killers will just kill some other way — that is, if a criminal is sufficiently motivated to carry out a homicide, he’s going to do it irrespective of whether or not he has access to a gun. The study proves that this so-called “substitution effect” doesn’t occur. Numerous individual-level studies also demonstrate the potential for robust background checks to decrease crime by denying criminals access to firearms. The earliest study on this question, conducted by Dr. Garen Wintemute in 1999, tracked 177 people who were denied access to a firearm through a background check based on their felony record. 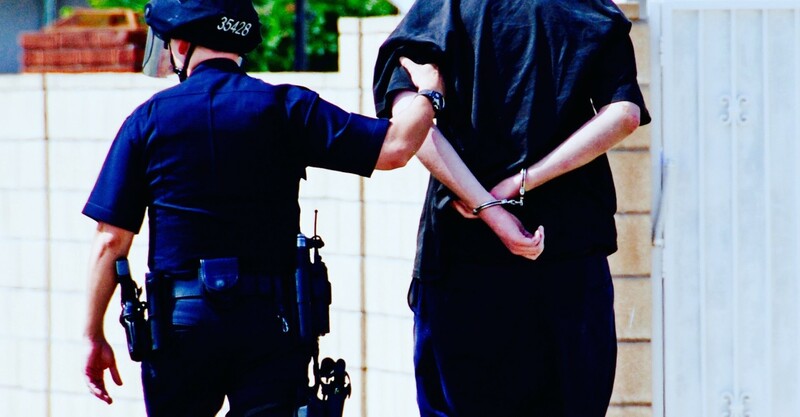 These individuals were compared with a group of 2,470 individuals who had records with felony arrests but — because they were ultimately convicted for a lesser misdemeanor — passed their background checks. These individuals were tracked over the course of three years. Another study in California exploited a natural experiment and came to the same conclusion. In 1991, California passed a law that expanded firearm denial criteria to include persons convicted of violent misdemeanors. The study examined two groups of individuals ages 21-34, a sample of more than 1,700 people. The first group was comprised of persons who attempted to obtain a firearm in 1991, but who were denied because of their violent misdemeanant status. The second group consisted of individuals with violent misdemeanors who successfully passed a background check to purchase a firearm between 1989 and 1990, before the passage of California’s new restrictions. Controlling for various social characteristics, the study found the individuals in the group whose purchases were approved were more likely than the those in the first group to later commit firearm-related or violent crimes. The only coherent interpretation of all of these studies is that when a well-designed gun policy effectively decreases dangerous people’s access to firearms, it also decreases crime. To put it more plainly: the laws work. If it was simply the case that criminals don’t follow laws, and that they would find some way to commit a crime irrespective of the legal obstacles in front of them, then there should be no difference between any of the groups examined in the studies above. Not only is there very little empirical evidence to support the notion that “criminals don’t follow laws,” but the soundbite is intellectually incoherent at its face. The fact that criminals, by their very definition, don’t follow somelaws is not a sufficient reason for eliminating all laws. For example, if we were to apply the gun lobby’s reasoning on firearms to red lights and stop signs, we would have to conclude that traffic laws are an exercise in futility. After all, hardened criminals aren’t deterred by the threat of punishment, and so any traffic regulations can only hinder responsible, law-abiding car owners from moving swiftly from point A to point B.
Fortunately, United States traffic laws are relatively strict and well enforced. It is difficult, for example, to circumvent a high-speed camera while running a red light. It is for precisely this reason that there are no vocal opponents of traffic safety legislation decrying the use of stop signs and red lights because “criminals don’t follow laws.” In fact, if there is any sense in which it is true that “criminals don’t follow laws,” it is only because our nation’s gun laws are easily circumvented by design. What’s worse, these loopholes are not mere accidents or byproducts of oversight. The very weaknesses that prevent federal gun policy from identifying and denying firearms to criminals are, in fact, products of acoordinated lobbying effort to render many gun policies powerless. Take just one example: In 2003, Congress passed a series of laws backed by the NRA, collectively referred to as the “Tiahrt amendments,” that gave private gun retailers with broad immunity from the legal repercussions of selling guns that almost immediately find their way into criminal hands. The case of a Milwaukee firearms shop called Badger Guns and Ammo vividly illustrates the impact the change had on gun violence. Years before the passage of Tiahrt, Badger was responsible for the majority of Milwaukee’s crime guns. Then, following pressure from a 1999 investigation by the Bureau of Alcohol, Tobacco, and Firearms (ATF), the shop changed its practices to eliminate the sale of low-quality, inexpensive handguns. This move alone was associated with a 73 percent reduction in crime guns sold by the dealer, and a 44 percent overall reduction in the flow of crime guns recovered in Milwaukee. By any measure, the ATF probe resulted in meaningful progress in the fight against gun trafficking. After the Tiahrt amendments were passed, shielding the shop from any legal repercussions caused by selling crime guns, Badger reverted to its old ways. In the ensuing years, there was a 203 percent increase in guns diverted to criminals from the shop, effectively reversing any progress made by the ATF. Probably the most glaring loophole carved out by the gun lobby, however, is the virtually unregulated market of private transfers. The NRA was first able to successfully stall and eventually kill an attempt at expanded background checks in the aftermath of the 1999 mass shooting in Columbine, Colorado. The NRA replicated this feat in wake of the massacre in Newtown, Connecticut, defeating a universal background check measure with overwhelming public support. (You can read more about this saga here.) However, despite the NRA’s protestations that these measures will accomplish little, the evidence clearly demonstrates that it’s this loophole through which many criminals obtain their firearms. One study that looked at criminal offenders legally prohibited from owning firearms found that 96 percent had obtained their firearms from sources that don’t conduct background checks, which includes all aspects of the gray market, from legitimate private sales to illegal transactions. So the problem isn’t simply that our gun laws are too weak, or that criminals don’t follow them. The issue is that the very laws meant to curb gun violence are ultimately hamstrung in such a way that allows more people to have access to more guns. The result: more gun violence.